This month means a lot in different ways for all of us. For me, it is the beginning of College Football. This dip has been making it around social media lately so I thought I would try it. I found the original recipe at Home Made Hooplah and made some minor changes. Measure, chopped, and place in a bowl. Thoroughly blend or mix together. Serve. Yes, it is that simple! I splurged and had three crackers with the dip. Carmen and David enjoyed it, and I will be making it again. Super simple, creamy, crunchy and yummy. 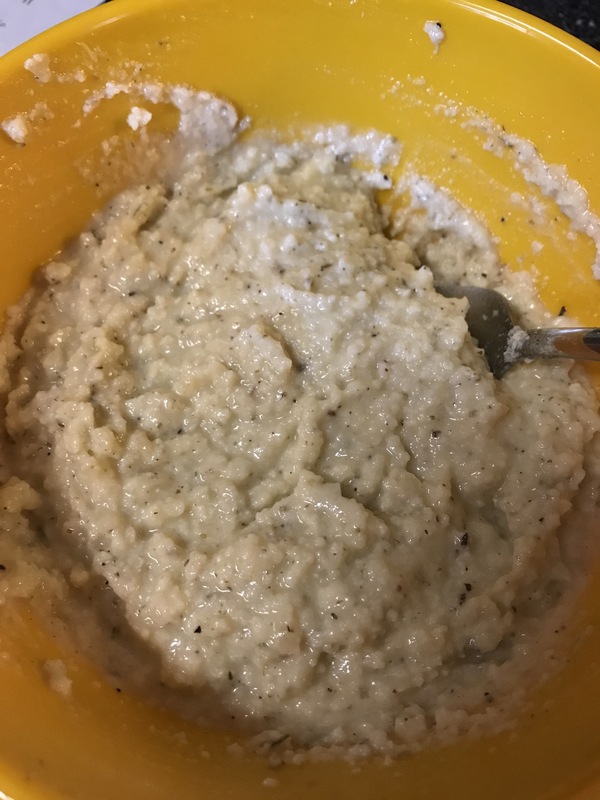 David found this recipe online (where? ), and we wanted to give it a try. 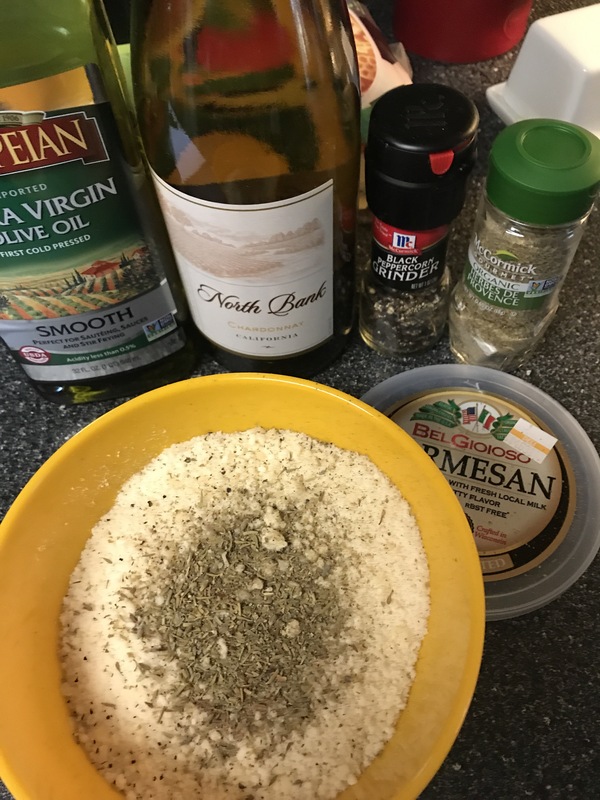 We added black pepper and Herbs De Provence and more wine. 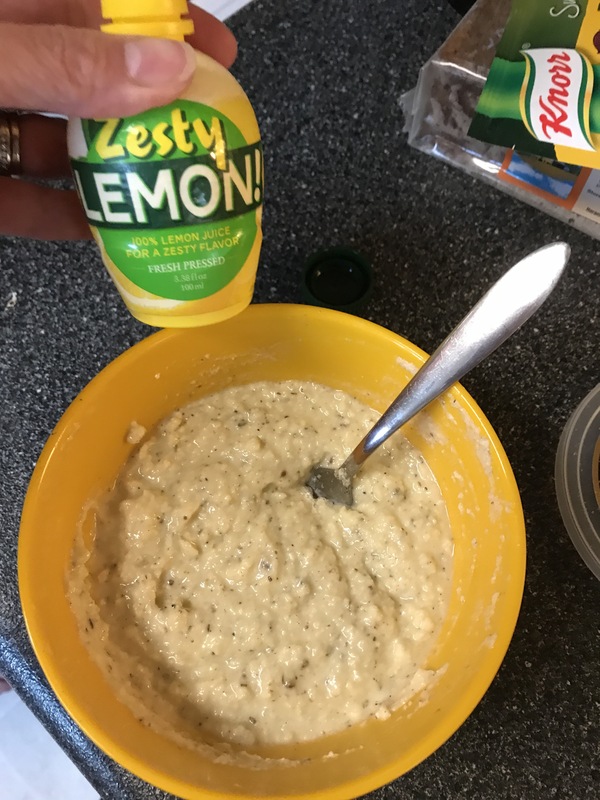 It needed something a little extra – so we added about a tablespoon of lemon juice. Add in ideas: black pepper, lemon juice, chopped dried figs, chopped dates, finely chopped chives, lemon zest, red pepper flakes, dried herbs, or chopped sun dried tomatoes. 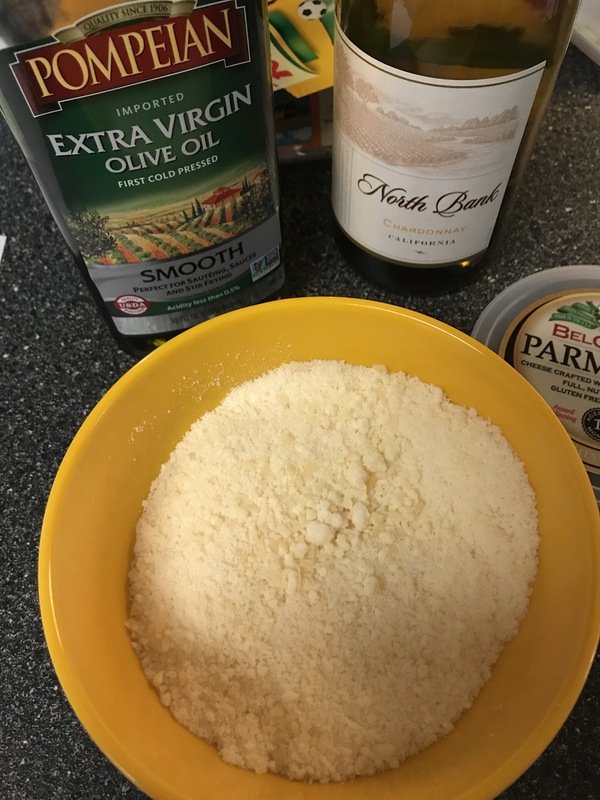 Combine the cheese, olive oil, and wine in a jar or bowl. Stir gently until it all comes together, then press the mixture down a bit to make a flat surface. It will keep like this, drizzled with a layer of olive oil for a few weeks refrigerated. Bring to room temperature before serving. To serve the cheese spread, scoop out a bit into a separate smaller bowl or plate, and stir in or sprinkle with any add-ins at this point. Serve with crackers, toasts or crudites; spread on sandwiches, layer in tarts; spoon into soups. We just had some on a Trixit. Yummy. This dip is one of my favorites. 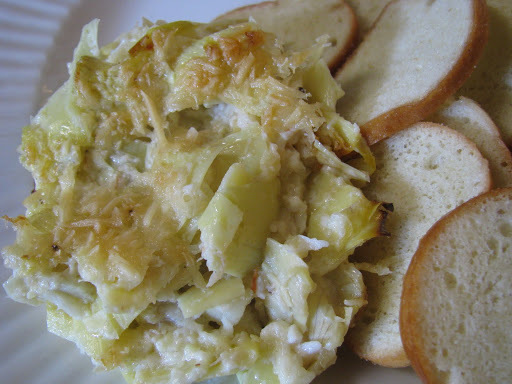 Sometimes it is just artichoke dip, sometimes it is artichoke and crab dip. Same basic recipe. Drain and chop the artichokes. Squirt the lemon juice on the artichokes. Add mayo, cheese, pepper and blend. Add drained crab and 1/2 cup of the Parmesan cheese gently. Pour into a grease casserole dish. 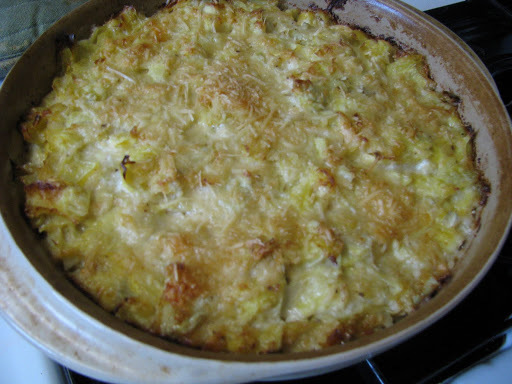 Sprinkle the rest of the cheese on top and bake at 350 degrees for 30-40 minutes or until golden brown and bubbly. I served this with Stacey’s Bagel Chips, which were perfect. Yummy.